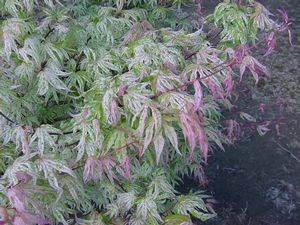 Leaves are speckled and striped pink, green, and cream. Some leaves totally white or pink. First spring growth appears fluffy white from a distance.